The first and largest event of its kind in Europe, WhaleFest – a celebration of the public's passion for whales and dolphins – will open for the weekend of 5th and 6th November 2011 in Brighton, UK. 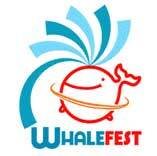 WhaleFest was organised by Planet Whale, the world's largest online search engine for whale and dolphin watching trips. WhaleFest represents Planet Whale's vision; to provide whale and dolphin conservation organisations and sustainable whale watching businesses with a free platform to promote their work to the widest possible audience. An incomplete fossilised starfish Crateraster quinqueloba was discovered underneath the Seaford Chalk in cliffs at Beachy Head, Sussex. This is one of the most common chalk starfish, but articulated specimens of this sort are pretty scarce. An adolescent Minke Whale, Balaenoptera acutorostrata, washed up dead after the gales in Epple Bay, Birchington-on-Sea, on the north Kent coast. 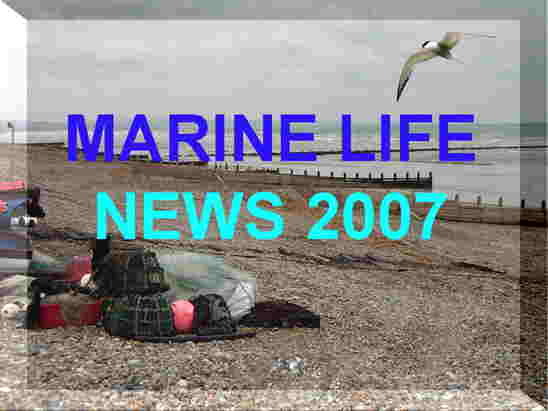 Following a post mortem, Jon Brooks, a marine mammal medic and East Kent co-ordinator of the British Divers Marine Life Rescue, said: “The cause of death has been put as combination of dehydration, starvation and parasitic infestation in intestines and all three stomachs. The whale was in reasonable condition but hadn’t eaten for some time – there was no food in the gut, which also showed a heavy parasite burden.” There is a resident population of Minke Whales in the North Sea. 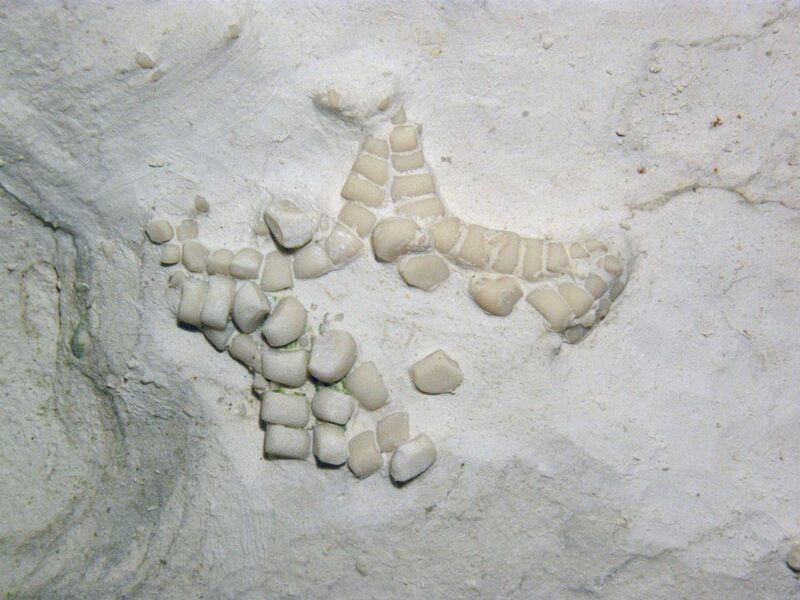 A young Kemp's Ridley Turtle, Lepidochelys kempii, was discovered on the shore at Tresilian Bay, near Llantwit Major, on the south Wales coast. This was the first of these young turtles discovered dead after the gales. These endangered turtles breed on the coasts of Mexico and are usually found in the Gulf of Mexico and were thought to have blown across the Atlantic Ocean. 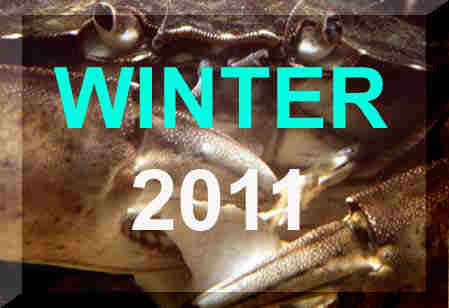 The turtle is likely to have perished in the cold seas. A Bearded Seal, Erignathus barbatus, hauled out on a dock at Tayport (on the south coast of the Firth of Tay, near Dundee), east Scotland. Its arrival followed a spate of storms across Scotland. A Bearded Seal was also seen at St. Cyrus (near Aberdeen) about 30 miles further north in November 2011. In view of the rare sightings of this Arctic seal around the British Isles it is likely to be the same one. Bearded Seals are normally found all along the European, Asiatic and North American coasts of the Arctic Ocean. Its food consists entirely of bottom-living animals including shrimps, crabs, clams, whelks and bottom fish such as flounder. It is a very unusual seal to be found in the waters around Scotland. 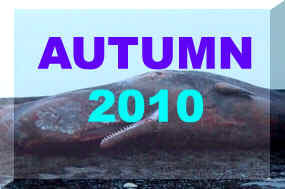 An 16.7 metre adult Sperm Whale, Physeter macrocephalus, was washed up dead on Hunstanton Beach, Norfolk. It attracted numerous sightseers over the Christmas holiday. A Hooded Seal, Cystophora cristata, was discovered on the beach at Chapel St. Leonards, Lincolnshire, was taken to the Skegness Natureland Seal Sanctuary. The explanation for this unexpected arrival may be because hat the seal had first been rescued by a Seal Sanctuary at Friedrichskoog in Germany in August. 2011 and was fitted with a radio transmitter on its release. The eight month old pup was thin and exhausted after swimming all the way to Scotland and up to the Orkney Islands. If she had kept going she would have been on course to get home to Iceland. Unfortunately she turned round and headed south along the east coast of England and came to rest in Lincolnshire. The Hooded Seal is an Arctic species and even discoveries off the coast of Scotland, including the Orkney and Shetland Isles are rare. It congregates to breed around Greenland and the Denmark Strait (between Iceland and Greenland) from June to August. For the rest of the year ti tends to be a solitary animal. 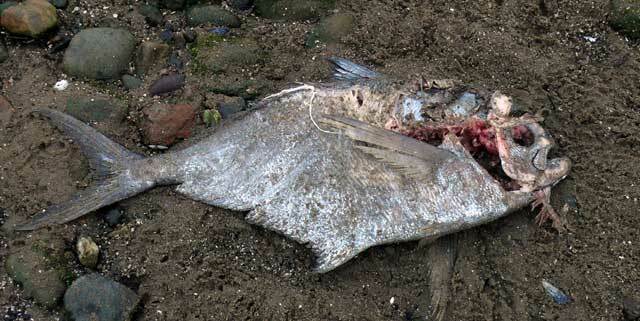 A Ray's Bream, Brama brama, was found at mouth of Brunstane Burn SE of Portobello Beach, Edinburgh. This is the first of numerous reports expected to be received this winter. An interesting large piece of wood was washed up on the strandline at after storms on low tide at Sennen Cove, Cornwall: it was completely covered in small to medium sized Goose Barnacles, Lepas anatifera. On closer examination it was found to have a cavity at one end and tucked into this was a male and a female Columbus Crab, Planes minutus. Small 3-4 mm egg masses and shipworm holes were also seen which included the rarely recorded Bankia gouldi; as well as Teredora malleolus, which made up about 95% of the shipworms in the timber. Under a magnifying glass and discovered a rare 14 mm pelagic sea slug, Fiona pinnata, which has only been recorded a few times in British seas. 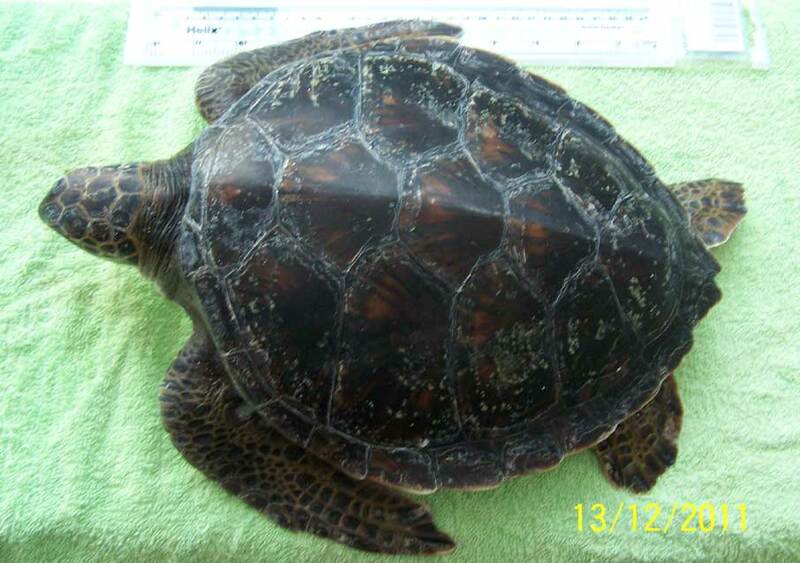 A Green Turtle, Chelonia mydas, was discovered on a beach in South Ronaldsay, Orkney Islands, (ND 463 900) after the recent storms. Unfortunately it was freshly dead, but intact, so its remains were sent to Scottish Agricultural College Veterinary Laboratory at Inverness. The carapace measured 290 mm long by 280 mm wide. The Green Turtle inhabits tropical seas including the Atlantic coast of Spain and the Mediterranean Sea. This turtle is only very rarely recorded in British seas. A Humpback Whale, Megaptera novaeangliae, was videod off Sumburgh Head, the most southerly part of the Shetland Islands. 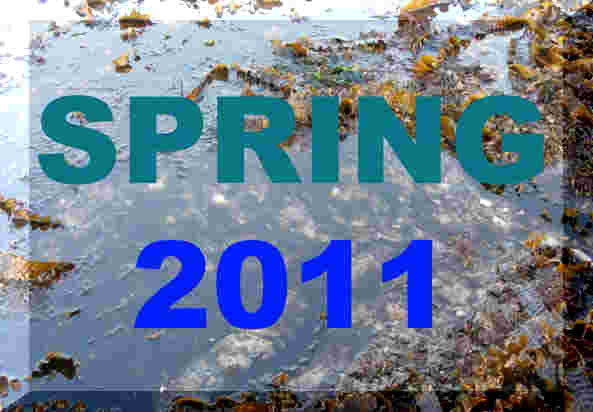 The invasive alien Carpet Sea Squirt, Didemnum vexillum, has new been discovered on the shore in Kent. This colonial ascidian is an invasive and unattractive smothering species from the Pacific Ocean off Japan. 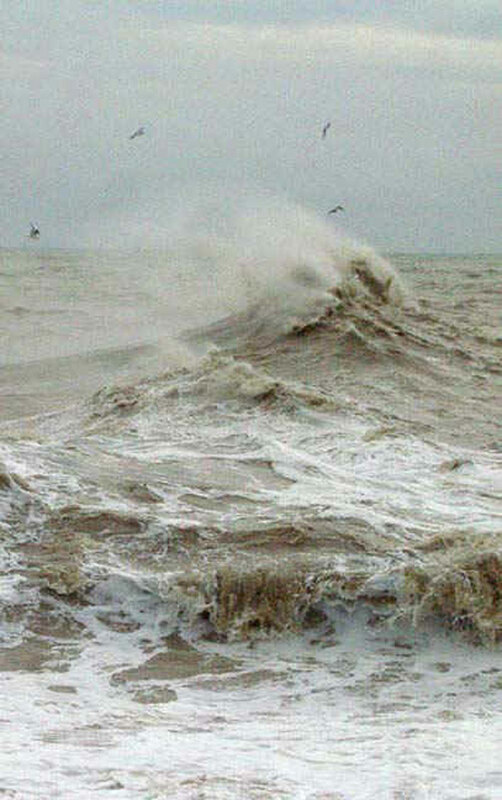 It has occasionally been recorded in harbours but this is the first time it has spread to adjoining areas around England. A gastropod mollusc new to science, a pretty little false cowrie in the family Ovulidae, Simnia hiscocki, was described from the Cornwall Peninsula, England, and compared with Simnia patula occurring in the same area, from which it differs in shell- and radula-morphological features as well as ecological features. DNA analysis suggests that it is a very young species whose host-specificity to the Pink Sea Fan, Eunicella verrucosa, makes it a potentially useful species for monitoring sea-temperature-change. 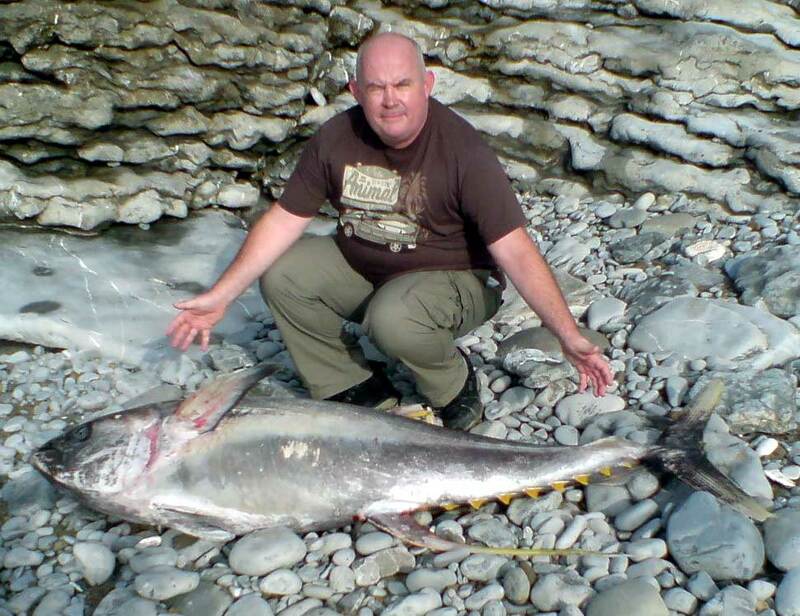 An extremely rare record of a Yellowfin Tuna, Thunnus albacares, was discovered and photographed by Nigel Jones at the foot of a cliff at Dunraven Bay, near Porthcawl, South Wales. The fish was identified from the photographs. It was only the third discovery on record from British seas. An unprecedented pod of over seventy Bottle-nosed Dolphins, Tursiops truncatus, swam and leapt around David Lambert's fishing boat, 12 miles off Brighton, East Sussex. This world not be exceptionally newsworthy to the south and west of the British Isles, but off Sussex this is an unusual sighting, even more so during winter. A White-beaked Dolphin, Lagenorhyncus albirostris, was observed by surveyors bow-riding their vessel about 15 miles south of Worthing, West Sussex. We had a small group of White-beaked Dolphins sighted some miles off shore between Eastbourne and Dieppe back in April this year. This species often bow-rides so it is interesting that both local sightings of these dolphins were bowriding. 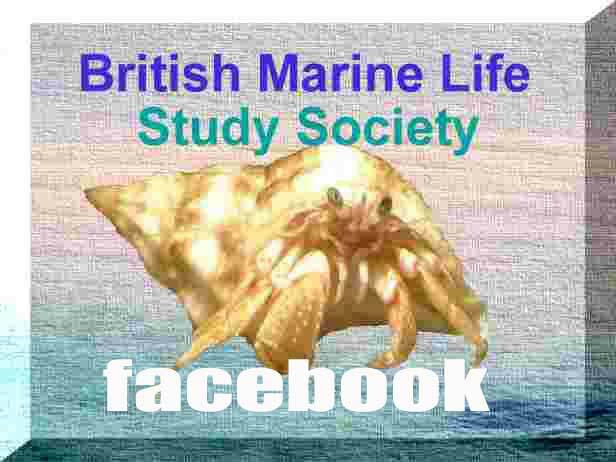 This species is not normally recorded in the English Channel. The European Union (European Commission on Fisheries) officially extended measures to protect threatened Porbeagle Sharks, Lamna nasus, from fishing. Under the amended Regulation, fishing for Porbeagles is now prohibited in all EU waters, including the Mediterranean Sea, and by EU vessels fishing in international waters. In addition, if Porbeagles are caught accidentally, they must now be released immediately. A Blue Shark, Prionace glauca, was washed up on Camber Sands, East Sussex. This species is rarely this far east up the English Channel. 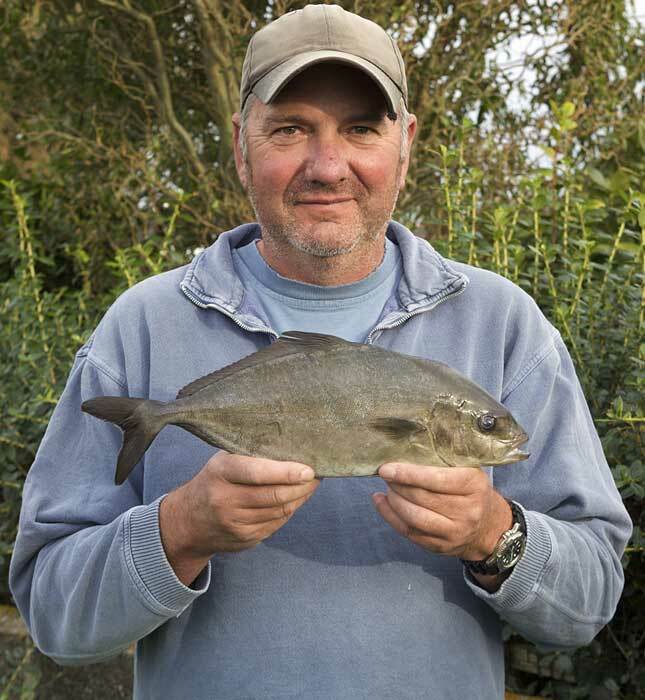 A record rod and line caught Almaco Jack, Seriola rivoliana, was landed by angler Brent Hanley on a mark near Hanois, Guernsey, the fish weighed 1 lb 14 oz 3 drm (= 856 grams) and this beats the previous best for the species by nearly 7oz: a record set by C.Torode off Grandes Rocques, back in 2007 with a fish of 1 lb 7 oz 12 drm. It was caught on a bait of Sand-eels. This particular was damaged and was only identified by its gill rakers. 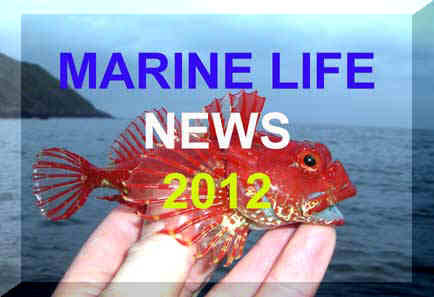 This Caribbean fish is rarely recorded in British seas. 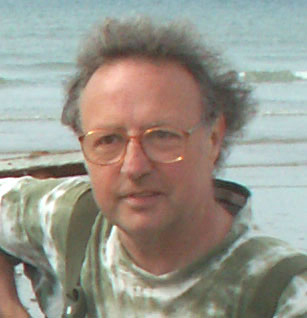 The 2007 specimen was identified incorrectly. An 17 metre long Sperm Whale, Physeter macrocephalus, was spotted in Kirkwall Bay in the Orkney Isles. There were the usual fears that the deep water whale was sick and may become stranded on the shore. At 1:00 pm the whale was seen swimming into deeper water. 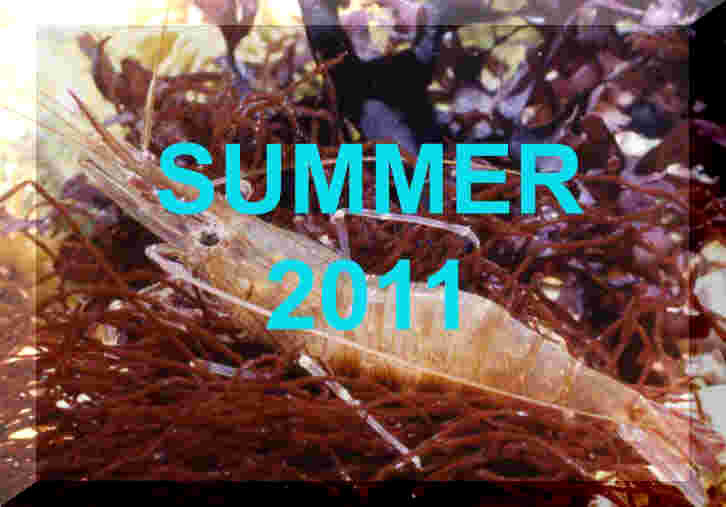 The Snakelocks Anemone Shrimp, Periclimenes sagittifer, has now been discovered in Babbacombe Bay, south Devon. 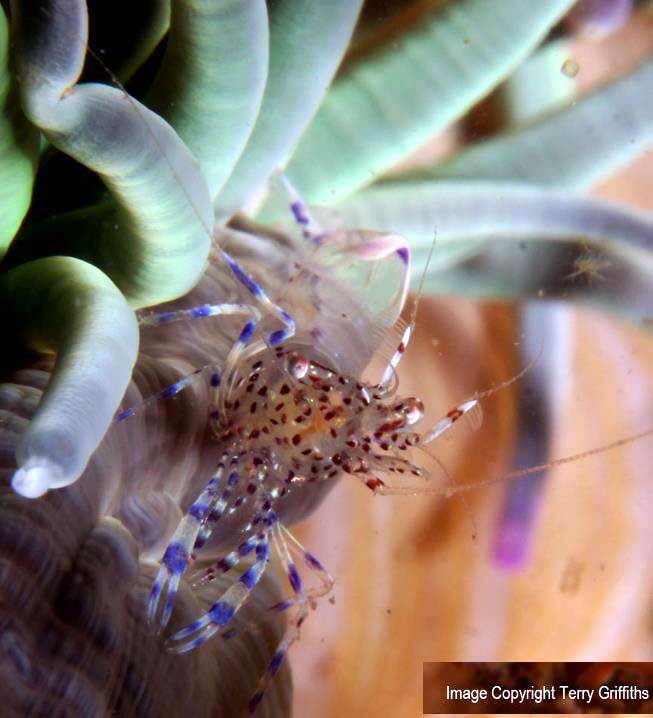 This shrimp is symbiotic with the Snakelocks Anemone, Anemonia viridis. 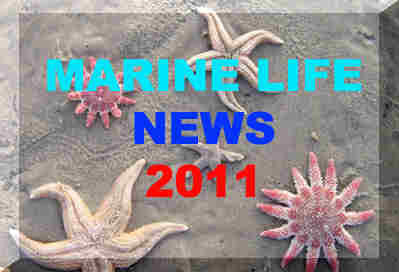 They were first discovered around mainland Britain under Swanage Pier in 2007. Before this report, the most northerly sightings were regular reports from around the Channel Islands. 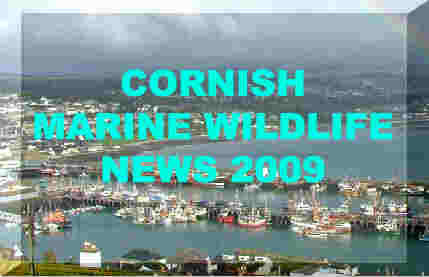 Dr Peter Evans, Director of the marine research charity Sea Watch Foundation, confirmed that a small whale spotted in Mounts Bay next to the Cornish town of Penzance was a Dwarf Sperm Whale, Kogia sima, a tropical/subtropical species that has never before been recorded off the UK coast. This is the smallest whale in the oceans, little more than the size of a Porpoise. I found three Portuguese Man-o'-War, Physalia physalis, loads of By-the-Wind Sailors, Velella velella, Buoy Barnacles, Dosima fascicularis, and Goose Barnacles, Lepas anatifera, at Sennen Cove and Gwynver Beach, Cornwall. A juvenile Short-snouted Seahorse, Hippocampus hippocampus, was discovered in the River Thames at Greenwich. This discovery suggests a breeding population. A rare Sei Whale, Balaenoptera borealis, that became stranded on a South Uist beach near Gerinish, Outer Hebrides, was out of the water too long and eventually it died. The deep water whale was about 17 metres long. A pelagic string siphonophore (miniature jellyfish-like animal), probably the Agalma elegans, was seen at Evie Bay, Orkney Islands, Scotland. This particular species occurs sporadically around the British coast, usually some distance offshore. This pelagic hydrozoan is rarely recorded rather than rare.